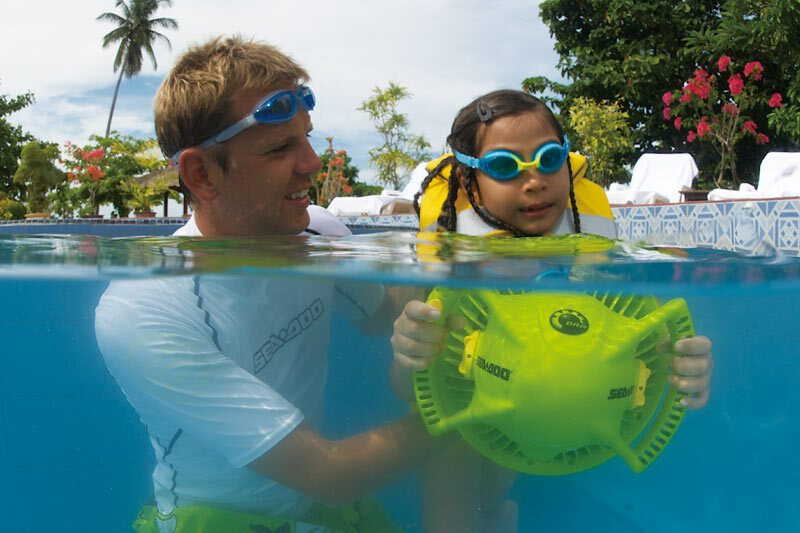 The SEA-DOO® SEASCOOTER™ AQUANAUT is great for snorkeling, swimming or playing in the pool. 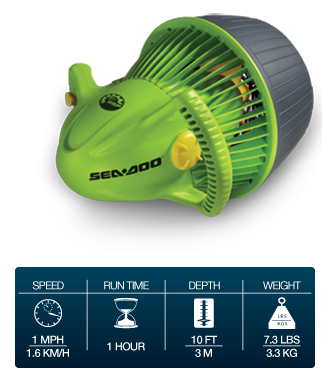 This smaller, lighter model for adult-supervised youngsters ages 8 to 10 (up to 100 lbs. 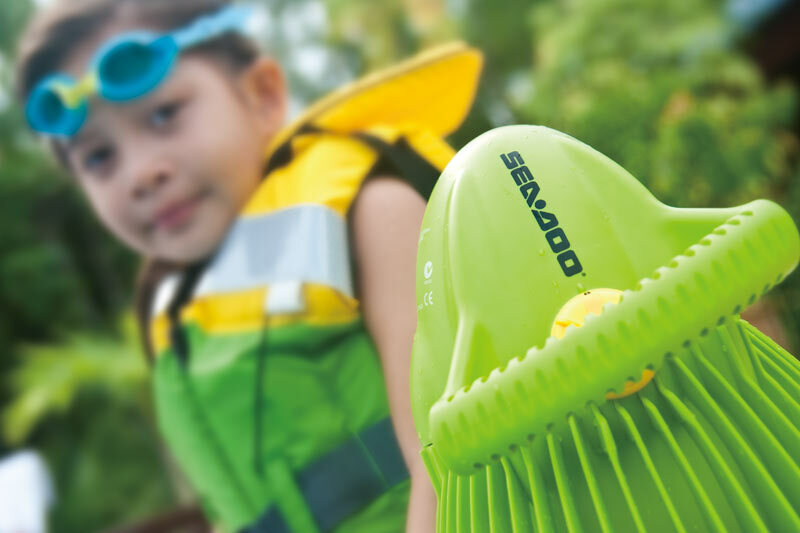 / 45.4kg) is waterproof to 10 feet and you can enjoy an hour of play on a single charge.